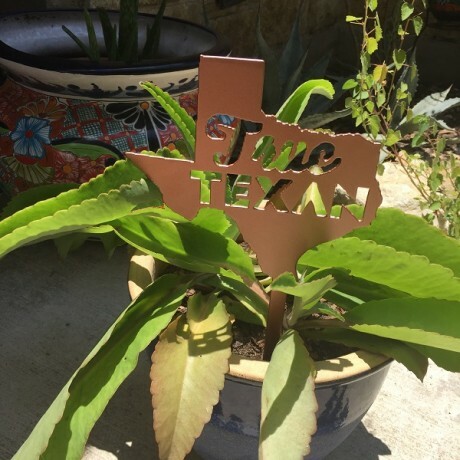 Add a little personal Texan touch to your garden or house plants! Suitable for indoor or outdoor use, these weather-resistant products are a great gift. 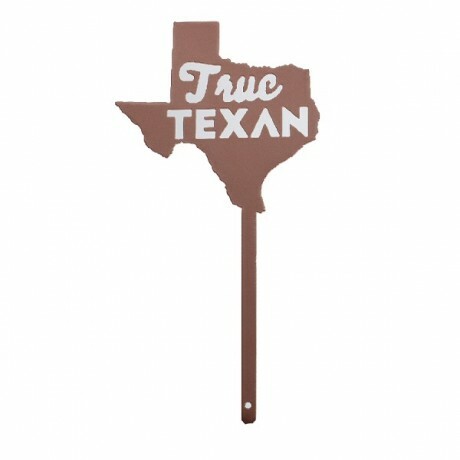 All products are designed and hand-cut in Waco by Kaktos Rose. Powder-coated steel, protecting it from rust and corrosion and giving it its own unique markings. Copper finish. 7” wide and total length (including stake) is 14.5”.